We take immense pride in our work, which is why we've stayed in business for over 25 years. We approach every job with professionalism, meticulous attention to detail and commitment to outstanding results. When you work with us, you can rest assured that every aspect of your Canberra laundry renovation will be completed with utmost care, from the first fixture to the final tile. Hire us to take care of the job and you won't have to worry about a thing. Forget about juggling tradespeople. We can coordinate them all for you, whether you need plumbers, electricians or carpenters. Over the decades, we have developed excellent relationships with some of Canberra's leading workers. Everyone we team up with shares our core values: accuracy, efficiency, honesty and dedication to perfection. Let us worry about tradespeople coming and going, while you spend your time on more important matters, such as family members, friends and work. We also comply with all Australian standards and Housing Industry Association rules and regulations. Contemplating laundry renovations in Canberra can be nerve-wracking. How long will the job take? How much will it cost? Where can you find tradespeople who aren't going to let you down? How do you coordinate plumbers, tilers and electricians, in between working and looking after family and friends? The good news is that we're here to take a load off your mind. 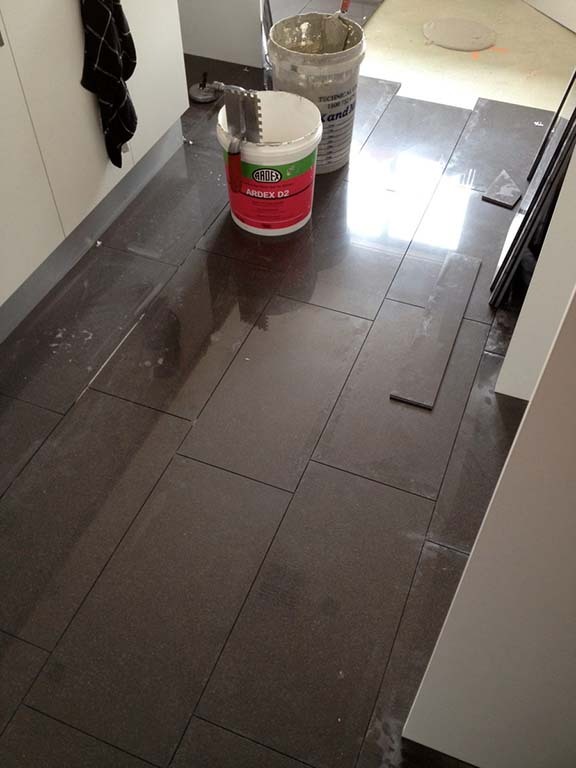 Creating Impressions is a family-owned and operated business specialising in beautiful laundry renovations, decoration and laundry tiling in Canberra. We understand completely that anticipating a renovation can be stressful. That's why we put so much emphasis on excellent customer service. Your peace of mind is very important to us. We'll work closely with you at every stage. All our laundry renovations in Canberra begin with a consultation, which gives you the chance to explain your ideas, then we'll do everything we can to turn your dream laundry into a reality. Our customer service and work ethic have inspired hundreds of positive reviews and complimentary feedback from previous clients. We're also pleased to be recommended by many businesses in Canberra. Do you have a question about our Canberra laundry renovation service? Would you like to book a quotation? Why not give us a call today?